100cm Wide. Every once in a while something comes along that redefines what we thought to be perfect or unbeatable! This is one of those moments ! 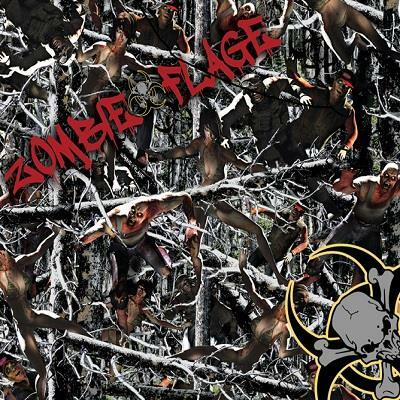 Zombie Flage with it's absolutely amazing full colour detail now blazes ahead of any other film on the market in its design . Sure to be an instant classic and will be remembered for redefining what can be done with Hydrographic film design. Even with it's rich colour print, There is enough clear film left for you to put your individual mark on your work with your choice of basecoat. When customer demand more, Shawnaughty Delivers !